What it is: NextCon is a business and networking conference focused on sharing strategies for building, managing, and promoting businesses of all sizes. Why it’s worth attending: With a lineup of speakers from authors to CEOs, this event’s tracks focus on sharing insight from business leaders in a wide range of industries and backgrounds, including several on getting a business off the ground and taking it to the next level. Cost: $499 for general admission, which gets you access to all keynotes, sessions, workshops, and the showroom. What it is: A business-to-business networking event, trade show and conference for business owners and entrepreneurs. Why it’s worth attending: The Small Business Expo is a chance to network with other industry professionals, attend workshops and seminars, and learn about products and services applicable to a range of industries. Cost: Registration through Eventbrite gives the option of paying a la carte for events and showcases. Prices range from free to $399 for the showcases. 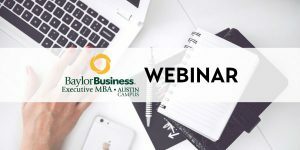 What it is: Organized by the Austin Young Chamber of Commerce, this webinar is accessible by anyone, anywhere, and focuses on using LinkedIn as a business tool. 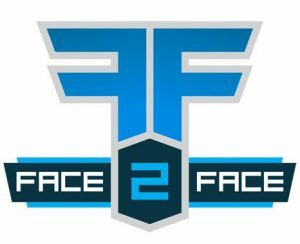 Why it’s worth attending: While this webinar focuses on a very specific social media tool, it’s one that entrepreneurs and small businesses can easily leverage in the early stages of growing a business to reach industry peers and clients or customers. What it is: An interactive lunch & learn to help attendees become more confident and polished professional speakers. Learn how to conquer your fear of public speaking, improve body language and vocal variety, and how to make your presentation memorable. 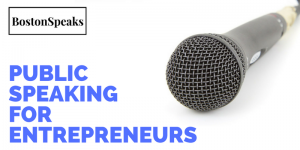 Why it’s worth attending: Entrepreneurs need to hone their speaking skills be able to build their personal brand and to grow their business. Public speaking occurs in everyday situations such as speaking at a networking event, describing your service or product to a potential client or presenting in front of a group. What it is: An event put on by the Great Austin Hispanic Chamber of Commerce geared toward small business owners who want to grow their businesses. 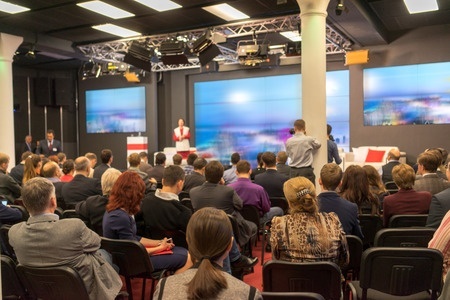 Why it’s worth attending: The main focus areas of this event are media training and business operations, good foundational skills for almost any small business. What it is: Offered by the City of Austin Economic Development Department, this event provides hands-on, step-by-step instructions for establishing goals and strategies and defining core values. The purpose is to provide business owners with exactly what they need to discover their most important goals and how to go about achieving them. Why it’s worth attending: Learn how to develop a clear long-term vision for your business while also experiencing short-term motivation. What it is: The BizAid Business Orientation provides a general overview of opening a small business or re-evaluating an existing business during its growth. Why it’s worth attending: In this session, you will be informed of key questions to consider when developing your business and resources to take you to the next level. What it is: This ongoing series from the Austin Business Journal is done in a one-on-one interview format with ABJ Editor Colin Pope. This month’s event features Jeff Turnas, who leads Whole Foods Market’s retail store brand.